Ed Wean Drilling & Blasting is a family owned business and has been in the drilling & blasting industry for over fifty years. The company is located and licensed in New Jersey; we are alsolicensed inPennsylvania,New York, Maryland and Delaware. We currently service all of Northern/CentralNew Jersey, North and South Eastern Pennsylvania, Maryland,New York andDelaware and growing annually. We are a certified SBE and WBE company. Ed Wean Drilling & Blasting provides complete drilling & blasting, test drilling, expansive material and perforated drilling services for Residential Builders, Commercial, Unionand Public Works Projects. 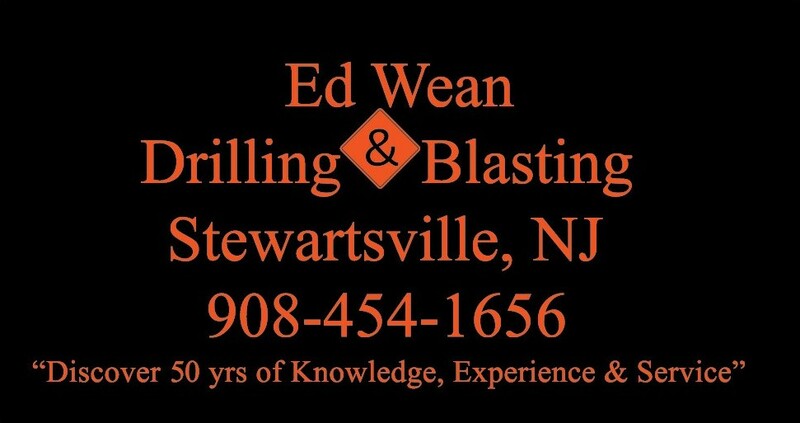 Ed Wean Drilling & Blastingcomplies with all local municipalities, state and federal agencies. Ed Wean Drilling & Blasting has performed drilling & blasting services for local area developers such as, Toll Brothers, CVA, Inc, Segal & Morel, C & M Home Builders, Emerald Valley, Nic Zawarski Builders, PPF Homes, Riverside Builders, Asbury Farms, TH Properties, DMG Investments as well as many others. 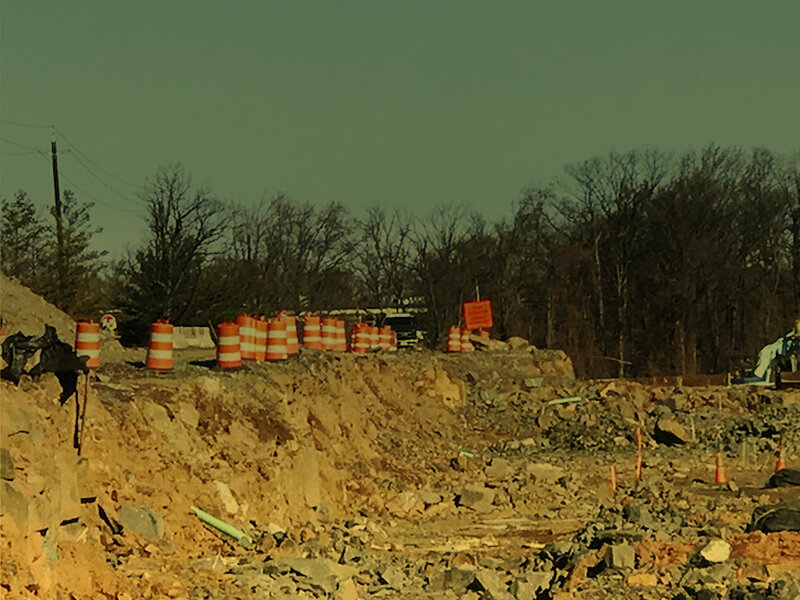 Ed Wean Drilling & Blasting has performed services at various locations for the NJDOT such as Rte 287 extension ramps (Union Paving), Rte 23 extension ramps (Dell Contracting), Rte. 31 expansion (B. Anthony/Servidone Construction), Rte 78 Weigh & Inspection Station (Railroad Construction Co.), Rte 15 (Intercounty Paving), Rte 1 & 9 North Bergen (Tarheel Enterprises) and Rte 18. New Brunswick (Conti Enterprises). 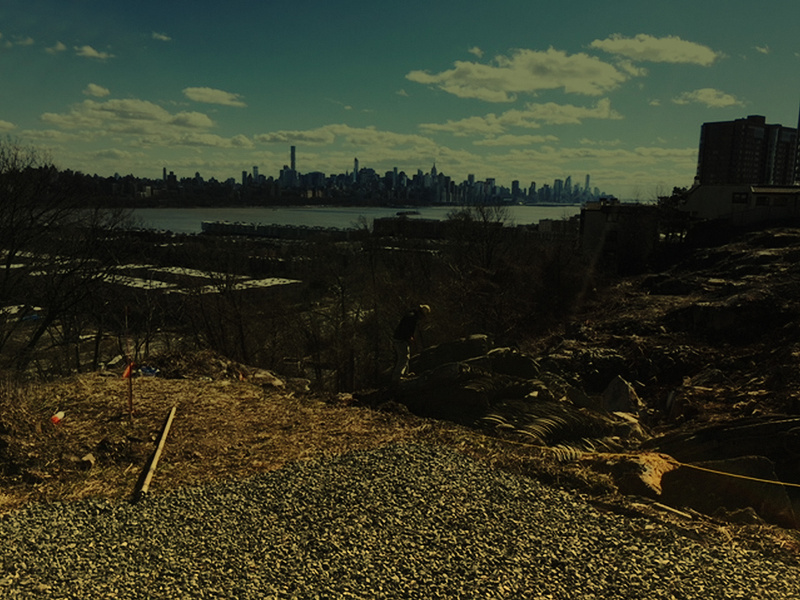 Ed Wean Drilling & Blasting has also worked with a variety of union/public works projects, such as, Western Ramapo, NY Sanitary Sewer System (Carbro Construction Co.,Tomco, Montana Construction), Children’s Hospital of Phila. (A.P. Construction/Turner Const.) and UPHS-CAM (JPC Group Inc./Driscoll) in Philadelphia, PA., Honesdale Dam (Army Corp. of Engineers), Turtleback Zoo (Crosson Const.) in W. Orange, Neshaminy Wastewater Pretreatment (C & T Assoc.) in Doylestown, Sewer Project (CRJ Contracting) in Mansfield Twsp, Woodrow Wilson Public School (La Rocca) in Bayonne, NJ, Phillipsburg High School (Vollers Excavating), 3M Stormwater Plant (Middlesex Trenching) in BelleMead, Heritage Shopping Center-Target (P.Dimarco) in S. Brunswick, Hunterdon County Library (Rampart Const. Co.), Rutgers University (Henkels and McCoy), Dobson Run Tunnel Shaft (Jay Dee Contractors Inc.) in Philadelphia, West New York Public School #2 (D & K Construction), State Rd Relief Sewer (JPC Group) in Philadelphia, Sussex/Passaic Pipeline (Henkels and McCoy), Christiana Hospital (JPC Group/Skanska), DuPont Children’s Hospital (H.T. Sweeney/Skanska)in Wilmington, DE, PSE&G Switching Station in Hopatcong, NJ, PSE&G Transmission Line (Kiewit/Henkels& McCoy), PPL Lackawanna SubStation (H.T. Sweeney), Vine St. Residential Tower & Univ. of Penn Medicine Building (JPC Group) in Philadelphia, PA, LG Headquarters (Crisdel) in Englewood Cliffs and many more.